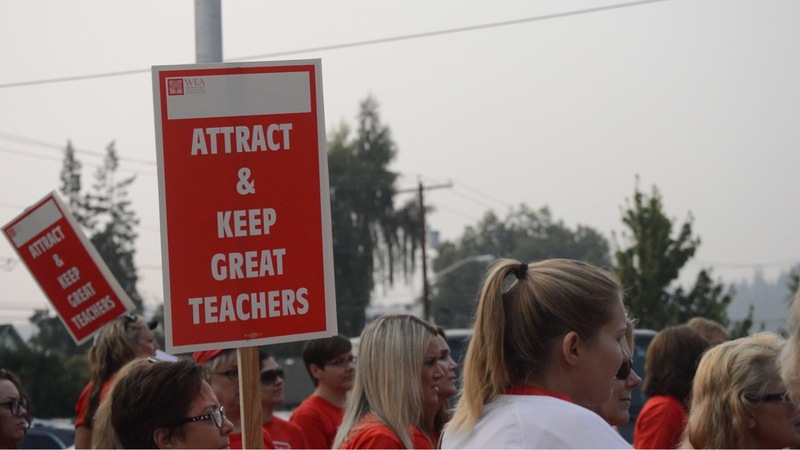 A teacher holds a sign while listening to President of the Puyallup Educators Association Karen McNamara address PEA members. Teachers packed the district board room August 20 to protest this upcoming school year’s proposed budget. 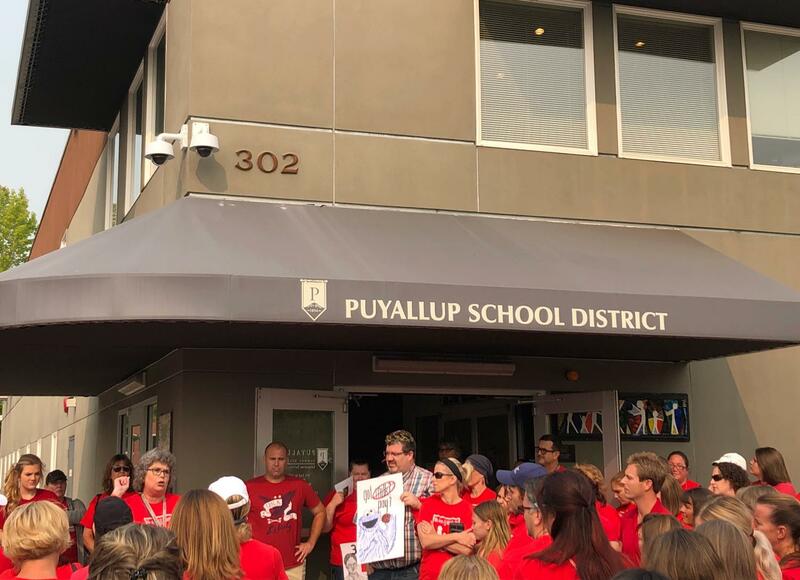 This morning, teachers, students and community members gathered at the Puyallup School District office for the school board meeting addressing the pay raise percentage and budget resolutions of the upcoming fiscal year. 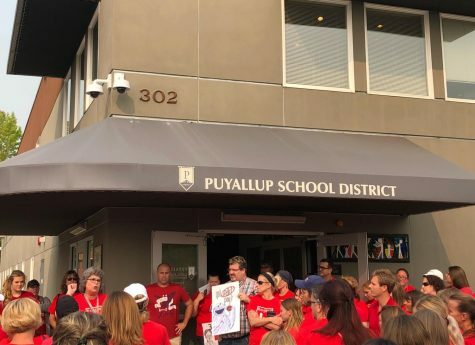 Karen McNamara, president of the Puyallup Educators Association, explained why the teachers are considering a strike if the district does not provide a higher pay increase that the current 3.1 percent proposal. McNamara addresses a crowd of teachers following the school board meeting. “The union’s goal today is to encourage the school district to understand why we are unhappy with their current financial proposal,” McNamara said. According to members of the school board, there is no conspiracy behind the proposal, as some have suggested. “[There are] no hidden agendas here; nothing under the table,” Michael Keaton, Legislature Representative of the school board, said. Superintendent Dr. Timothy Yeomans cited the “fiscal responsibility” the board must maintain in order to be sustainable in the ongoing years.